Mary of Scots is a movie base on a true to life story of the Queen of Scotland. Mary Stewart was destined to become the crowned queen of Scotland after her father died when she was just 6 days old. After few years of living in France as a wife of some noble man, she came to sit on the throne of Scotland. After that, she wrote a letter to her cousins Queen Elizabeth and asks to be united leaders of their people, one kingdom under one Queen. At first it was a great alliance until one of them doubts and the men who want nothing but power entice both Queen to war. 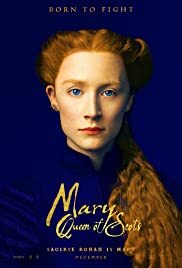 The movie is so amazing since Mary of Scots is played by a great actress Saoirse Ronan and Queen Elizabeth played by Margot Robbie. This is a film that is greatly created from brilliant directors and film maker. Mary of Scots is a drama filled with great story for fans to enjoy, when the movie hits the theater. After Mary delivered a child to be a sole King of two kingdoms Scotland and England, Queen Elizabeth started to make necessary action in order to retain her throne and must stop Mary from making her son to be the King of the Royal family.